This is a sponsored post written by me on behalf of Playtex Baby. All opinions are authentic and my own. Please see my disclosure policy. Decorate & Fill a Beverage Holder – Upcycle a cardboard beverage holder into a cute gift box for some baby supplies. And it would be adorable on the nursery dresser for storage, too. Fold Baby Clothes Into Cupcakes – What a way to kick up a simple onesie and sock gift than by transforming them into a box of cute cupcakes?! Make Something Special for the New Parents – The new parents will surely appreciate this one – as it’s just for THEM! Fill a gift box or bag with goodies for them to enjoy on a date night-in. Create a Handy Parenting File – I can only imagine how much more organized my life would be right now if only I had received one of these handy (and cute!) parenting file folders for my first baby shower. Gift a Little Something for Recording Memories – Make a little memory book for all of the sweet new baby memories and milestones. There are even free printables to make this First-Memories Mini-Book! Give a Gift to Keep the Germs Away – Personalize a bottle of hand sanitizer with “Sanitize before Snuggles!” to help mama keep the new baby healthy. Make a Cute Photo Prop – I love that this chalkboard photo prop plaque can be used for many years to come. Gather Some Goodies for the Hospital Stay – Make sure mom stays well nourished during her hospital stay with a hospital care package. Fill a Playtex SmartCool On-The-Go Bottle Tote with healthy snacks or even lotions and creams; then she can use the bottle tote later, too! 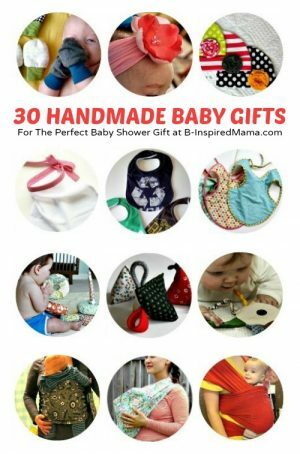 Make Something FOR Baby – This round-up of 30 DIY Baby Gifts has tutorials on how to make everything – especially for baby – from burp cloths to bibs to handmade toys and more! Don’t Forget the Diaper Cake! – We’ve all seen good old diaper cakes, but these new diaper cake (and other diaper creation) ideas are actually pretty awesome! Pair your diaper creation gift with a Diaper Genie® Elite for all of those diapers once they’re used. Consider Trusted Playtex for Your Baby Shower Gifts, Too! 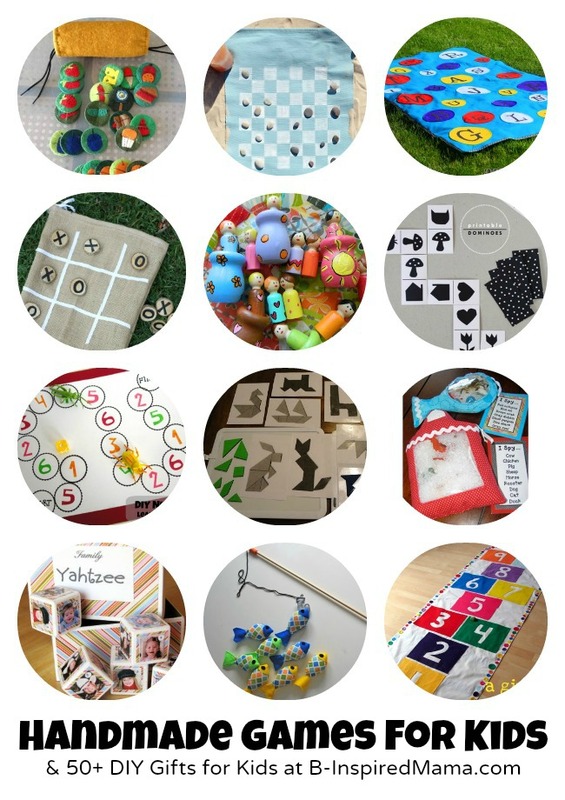 Why go through the work of a DIY baby shower gift if you’re only going to use low-quality baby supplies? Make sure to use quality, trusted baby items for your crafting or for pairing with your DIY gift so the mew mom and baby can get the best use of it. For example, consider including some Playtex Nurser or VentAire Bottles in the cute Beverage Holder Baby Gift. The Nursers have convenient Drop-In Liners that are perfect for preventing tummy-troubling air bubbles and a clever adjustable angle to keep baby more upright during feeding. Or if mama isn’t into the drop-ins, she might like the VentAire (which I used for my first little one!) that also tout an angle for upright feeding but have a bottom venting system to help reduce air ingestion and colic. Make sure to stop by the Playtex Baby Facebook Page for more helpful baby ideas from more Playtex Mom Trust Program Moms. Krissy, thanks for highlighting my DIY Hospital Care Package! You’re so welcome! I love it!! 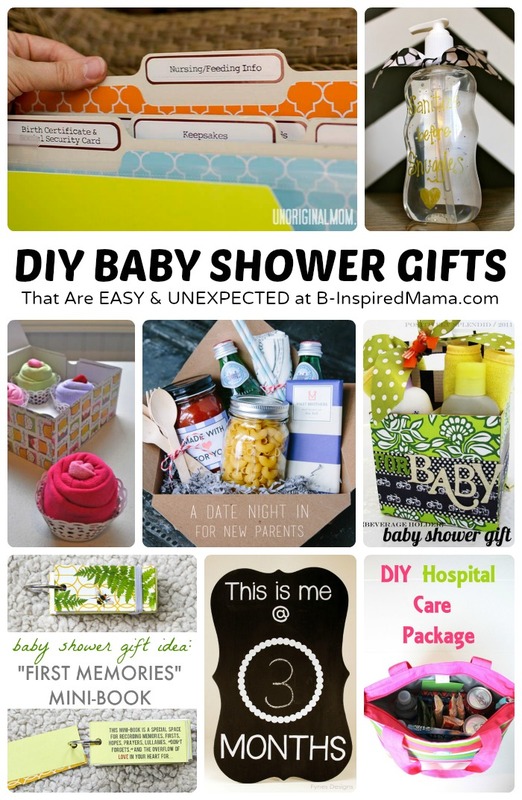 I love these ideas for unique baby shower gifts – my friend is having a baby next month so they definitely will come in handy!